A colleague of mine and I both are out of the office each year at this time (at least for the past three years). For him, he heads to charity golf tournament in the area. For me…well it is Reach the Beach time and as a result, the countdown to our first set of runs have begun! Team #GuzmanGuys (look for the “making Guzman great again shirts) will begin running at 7am on Friday from Bretton Woods in New Hampshire. That means a very early day for us but one that should be awesome! One piece I have not shared so far is the legs of the race they each team must complete. Running New Hampshire is just plain tough! There are mountains everywhere and “rolling hills” is a description of every race leg in the RTB race book. In short, it is a brutal race and one that is not done easily. At the same time, one has 11 of their best friends with them on the route so it is not like one is running 200 miles by oneself …though at the end, you might feel like you have! 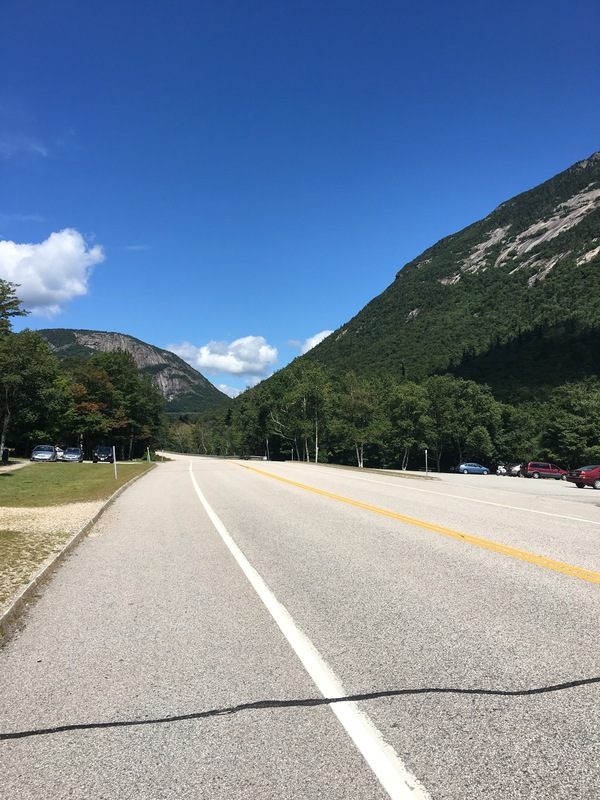 First Leg: 7+ miles – My first leg of the day is part of Van 2 and I am running from echo lake down West Side road (this is the road to the McCartySeasons Condo). West Side Road is a beautiful run because it is lines with farms and lots of foliage. In addition you can see Cranmore Mountain in the distance, Cathedral Ledge nearby and the Saco River by your side. We take this road all the time when visiting the condo and it should be a great 7 miles. It is a good first run! Third Leg: 7 to 9 miles – Remember I wrote earlier about rolling hills? Well this leg will have plenty of hills and I could potentially roll down one of them! This leg features two 800 ft climbs over a course of a half mile. It also has an 600 foot drop after the first 800 climb. Around like 7, the wild card zone kicks in and I could hand it off to the runner of our next leg…or I could TAKE IT DOWN! my hope is to complete all 9 miles because I don’t run again till the very last leg of the race. Fourth & Final Leg: 4 miles – So this should be the easiest leg of the whole race for me. 4 miles to perdition! It is the last leg and I will be completing the race for us. I am darn excited to have this honor! The hardest part will be running the last half mile on the beach but other than that, barring any injuries, I should be able to get through it and across the finish line! So taking these four together, I am running a total of about 23 to 25 miles over the course of 24 hours…basically a marathon total and I am looking for it! That’s about it for now. I will try to post one more update before the race on Friday! Thank you for reading. Next Post Reaching the Beach!